He’s the first player in the history of the game to reach that milestone. 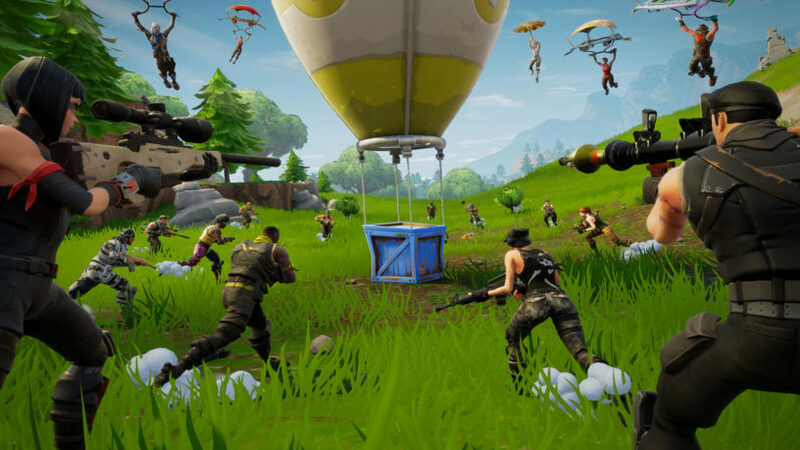 Streamer Jimmy “HighDistortion” Moreno has just become the first Fortnite: Battle Royale player to reach the milestone of 100,000 eliminations. He hit that mark live today while streaming. This calculation considers all kills HighDistortion got in any Fortnite game mode since he started playing with his current account. HighDistortion needed a bit over 18,000 matches, 12,500 of those in Squads, to reach that milestone, according to statistics website Fortnite Tracker. HighDistortion initially started racing against Tyler “Ninja” Blevins to see who would be the first to reach 100,000 eliminations, but Ninja gave up on Jan. 10 to take a break from the game. Then HighDistortion simply continued playing and streaming normally until he achieved this goal. Ninja still is likely to be the second player to reach 100,000 eliminations. When we first wrote about the race on Jan. 9, HighDistortion was looking like the most likely winner. He was behind Ninja by about 100 eliminations when both of them were close to the 96,500 mark, but HighDistortion was getting about 232 eliminations per day compared to Ninja’s 135 kills. By our calculations, HighDistortion would reach the milestone of 100,000 kills around Jan. 25, while Ninja would get there on Feb. 4. But HighDistortion sped up the process and hit that mark a few days before our estimate, and Ninja’s break might delay his own achievement even more. What’s next for HighDistortion in the stats department is still unknown. He’s sitting at over 3,600 Victory Royales and has a 20 percent winrate, but both of those stats are far from the current record-holders’ scores. In a world where statistics are perfectly accurate, we should see HighDistortion reach another significant milestone in eliminations, say 200,000 kills, in the second half of 2020. Until then, he still holds the glory of being the first Fortnite player in history to get 100,000 eliminations.